Supporters filled Hamilton County Commission chambers Wednesday demanding more respect for Judge Tracie Hunter. 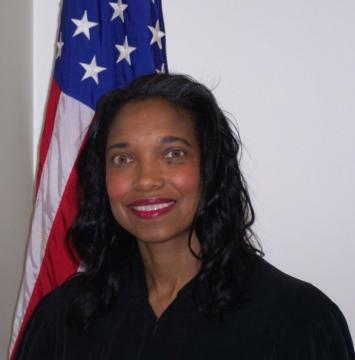 The Juvenile Court judge is locked in bitter battles with fellow Juvenile Court Judge John Williams, the county prosecutor's office and several media outlets. Supporters like Zakiyyah Allen say Hunter's being jerked around by the county. "It's a mockery," says Allen. "It's a slap in the face. Why is so much time, money and energy being wasted to prevent her from doing her job verses spending the money to let her do her job?" Radio host Lincoln Ware addresses Hamilton County Commissioners about Judge Tracie Hunter. Allen and others say Hunter's courtroom needs major upgrades. They want her to be allowed outside counsel in ongoing legal disputes because Hunter argues that office wouldn't defend her adequately because of the controversial 2010 election and ensuing legal fights. Hunter's backers also want a new juvenile court administrator hired. Commissioner Greg Hartmann dismisses the idea that Hunter is being blatantly disrespected. "Our concern right now is that we've got a dysfunctional Juvenile Court with two judges that can't work together and we need to seek resolution to that," he says. "That's not good for the kids that live in this community." Hartmann says the county can't afford an administrator for every judge; the commission can't appoint outside counsel; and while he's willing to address the courtroom upgrades, no one has issued a formal request. Commissioner Todd Portune says he's now making that request. Citing a conflict of interest, Hamilton County Commissioners are hiring an outside attorney to represent the county and a juvenile court employee.